Home / Readers Forum / Are Drones the Future of Package Deliveries? Are Drones the Future of Package Deliveries? In today’s world, online shopping and the use of Amazon Prime has increased along with technological advances. Amazon Prime has a 2-day shipping guarantee, and with a growing consumer base for online shopping, delivery companies also must innovate to accommodate its millions of customers. 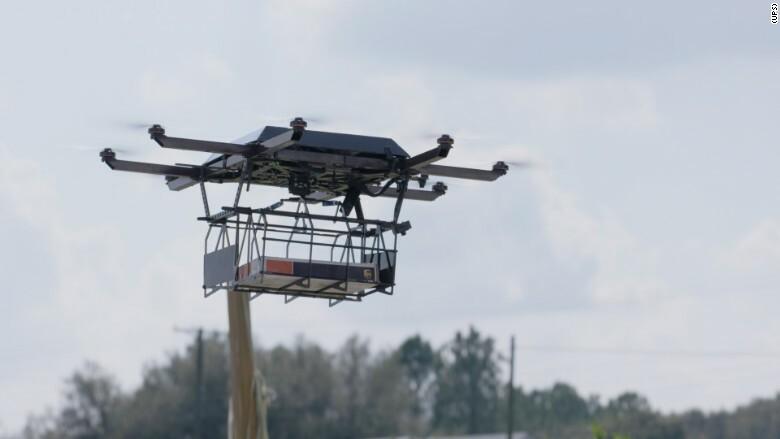 Earlier this week, the delivery company UPS tested out drone delivery in Florida. The main purpose of this event was to test whether drone deliveries would make the company more efficient in rural locations. This service would allow the drones and drivers to deliver packages simultaneously. Drivers would pause momentarily to load and release the drones with a small package, before continuing their usual delivery routes. Then, the delivery drones would meet up with the driver at another location. The company believes that automated drone delivery would save up to US $50 million per year if every UPS driver drove one less mile per day. Although this would only save each drive one mile a day, UPS has around 66,000 drivers and the numbers add up. However, this service is still in its early stages. On its second attempt to launch, the drone encountered a glitch where it was almost destroyed. As of right now, US laws state that commercial use of drones requires pilots to keep them in sight, and UPS acknowledges that they will not begin commercial use of their drones until the restriction is eased. Experts have predicted that the government will eventually allow fully-automated drone delivery services. Assuming that happens, do you think this technology shows enough promise for delivery companies to invest more of their time and money into? Is this a viable technology that UPS can depend on in the future?